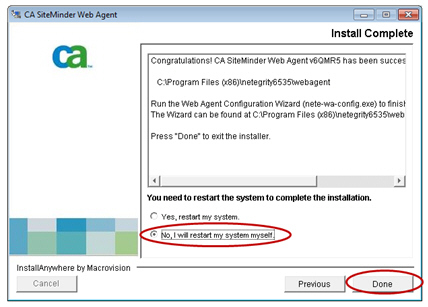 Learn how to install CA SiteMinder Web Agent on Client Machines. 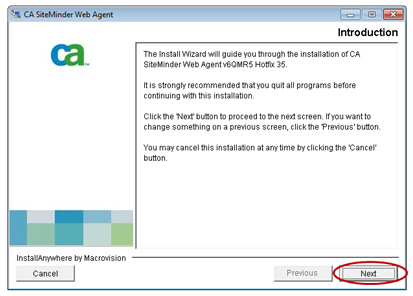 To install the web agent on client machines, launch the CA SiteMinder Web Agent v6QMRS Wizard and perform the following steps on all Policy Manager and Network Director SOA Container instances. 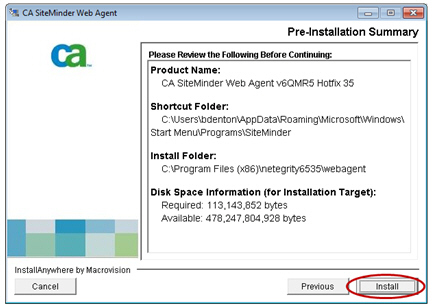 Launch the CA SiteMinder Web Agent installer. For example, on Windows systems, run the installer by launching the nete-wa-6qmr5-cr035-win32.exe program. 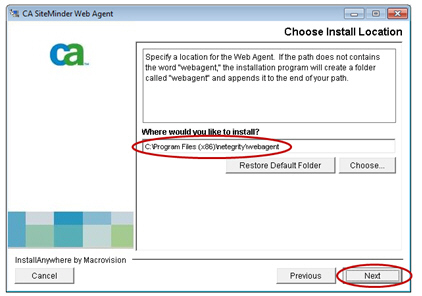 (The installer for each release of the Web Agents will have a different but similar name.) The Introduction screen displays. Review the introduction and click Next to continue. 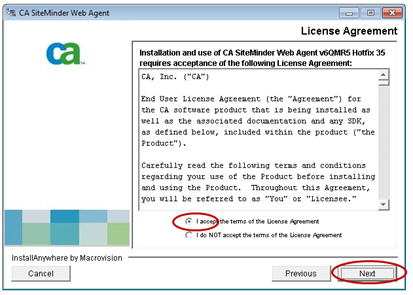 The License Agreement screen displays. Review the license agreement. If you agree to the terms, select the "I accept the terms of the License Agreement" radio button and click Next to continue. The Important Information screen displays. Review the notes and click Next to continue. The Choose Install Path screen displays. Enter the install path and click Next to continue. The Choose Shortcut Folder screen displays. Enter your shortcut preference and click Next to continue. The Pre-Installation Summary screen displays. 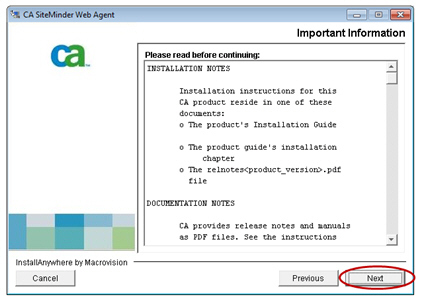 Review the installation summary and click Next to continue. Note: If the following pop-up message (or similar) displays, SOA Software recommends selecting the "No to ALL" button. 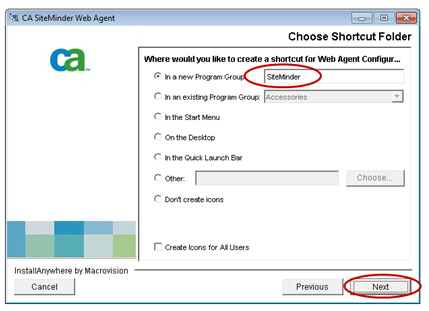 The Web Agent Configuration screen displays. Configuring a Web Agent is not required. 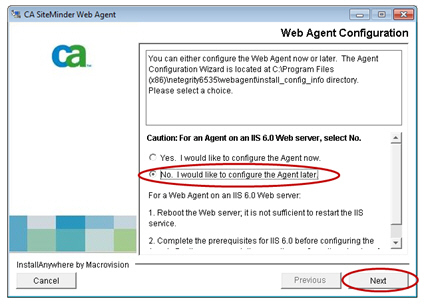 Select the "No, I would like to configure the Agent later" radio button and click Next to continue. The Install Complete screen displays. Restarting the system is not required. Click the "No, I will restart my system myself" radio button. Click Done to complete the configuration and exit the wizard.